By: Dima posted on January 21, 2016 in Free PSD Flyer Templates . Friends! Download our todays Freebie – Big Boss – Free PSD Flyer Template for your parties, special occasions and interesting event you have! 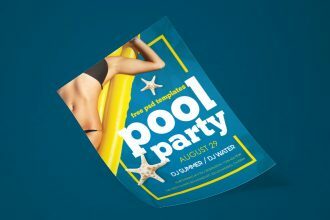 Very clear layout structure and professional execution will allow you to customize this party flyer the way you wish. Let your ideas be successful! This Free Flyer Template can be good for creating designers portfolio as well. It was created exclusively for our website. The Mock-Up is fully layered and well organized. You are free to download this PSD Template and modify it the way you wish. Make a successful choice!